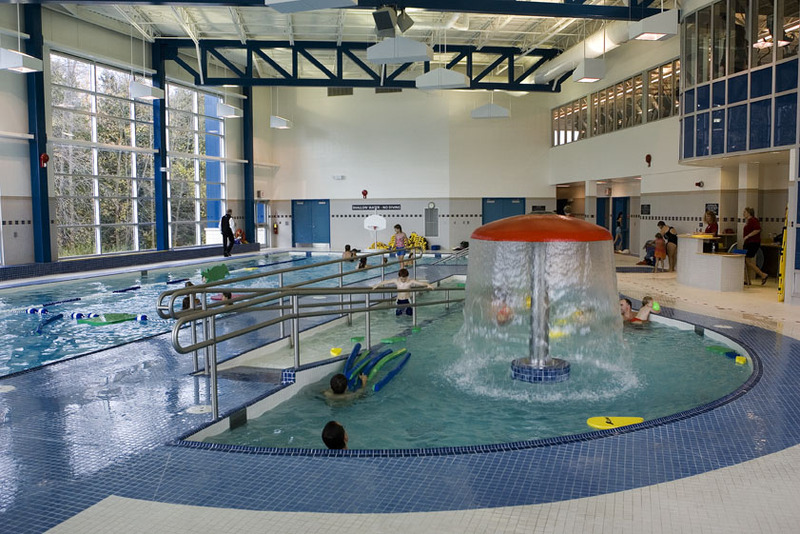 Almost all community recreation centres have now become a symbol of operational efficiencies as Owners strive to reduce operating costs through more complex mechanical systems and controls. 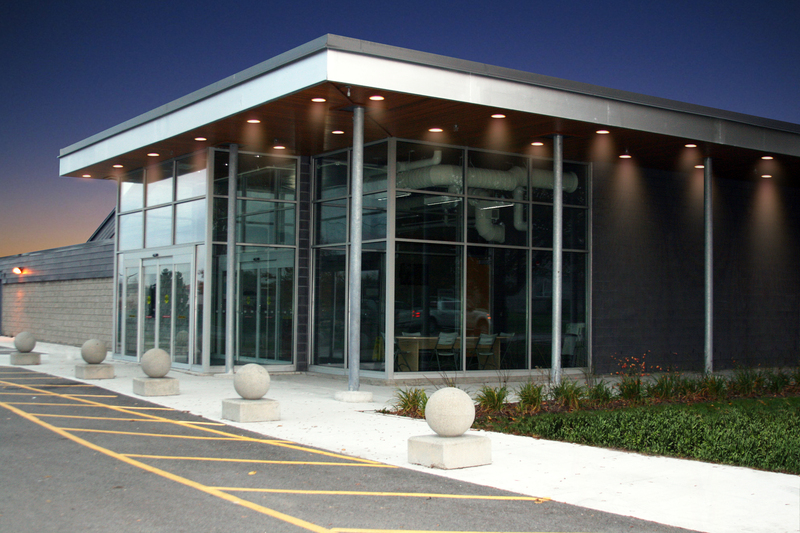 The Monteith approach applies early operational design review meetings to introduce both user groups, designers and construction partners to blend final technical specifications and applications to ensure seamless integration of the end product. 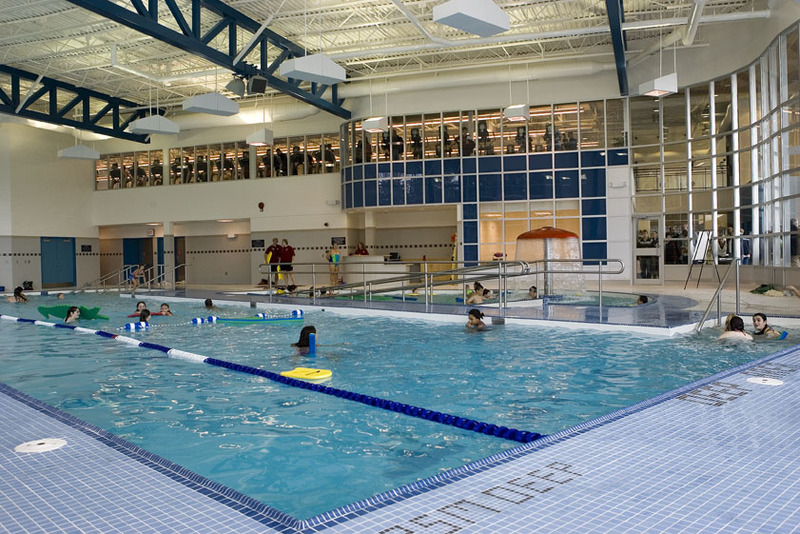 From fitness centres to ice rinks to pools; simple renovations to full multi-service facilities, Monteith has experience with both construction management and design build projects that meet the demands of both the owner and the community. 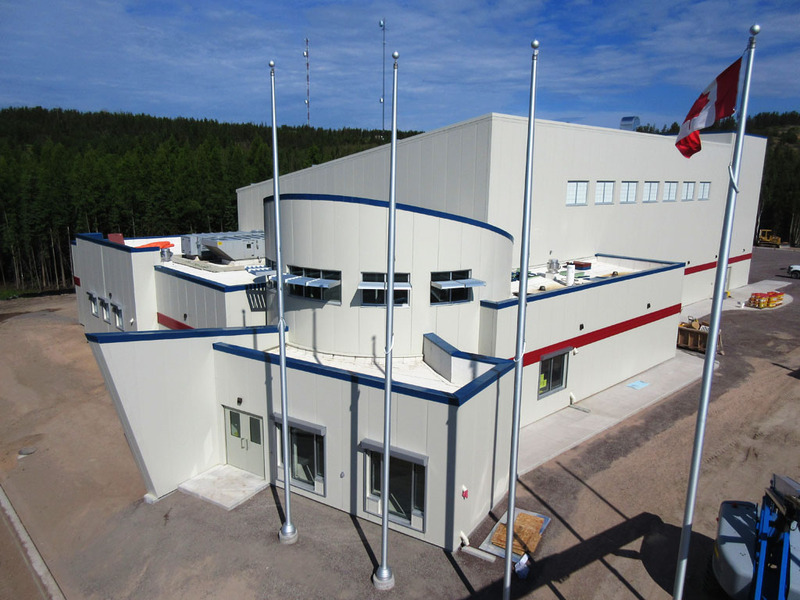 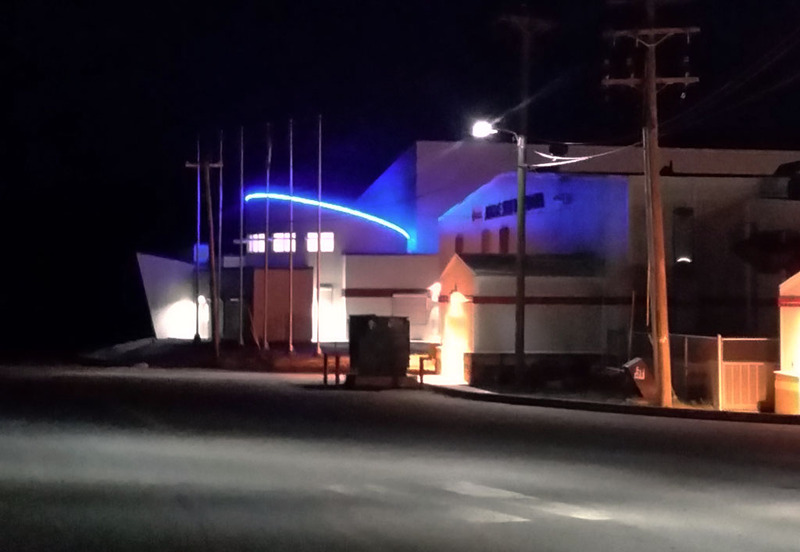 The Fort Chipewyan Swimming Pool was designed to be a focal point for the community of Fort Chipewyan and surrounding region. 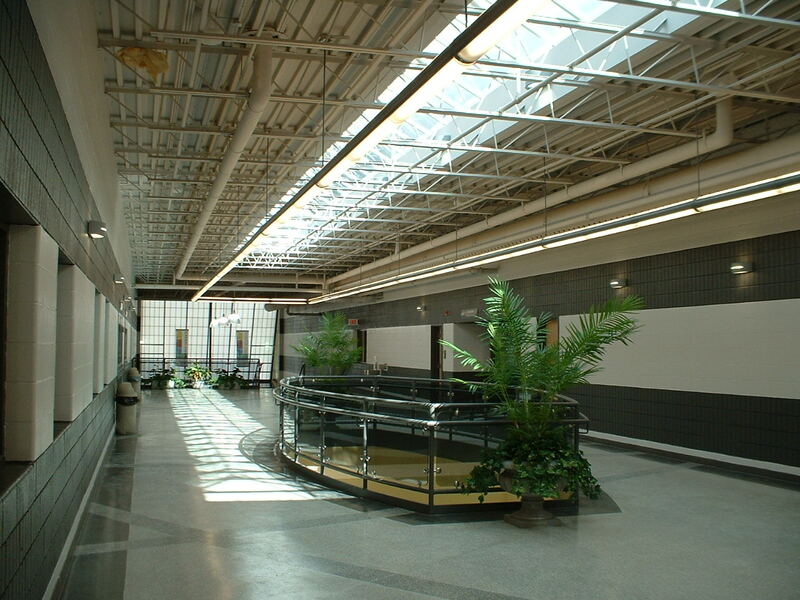 The 18,500 sq. 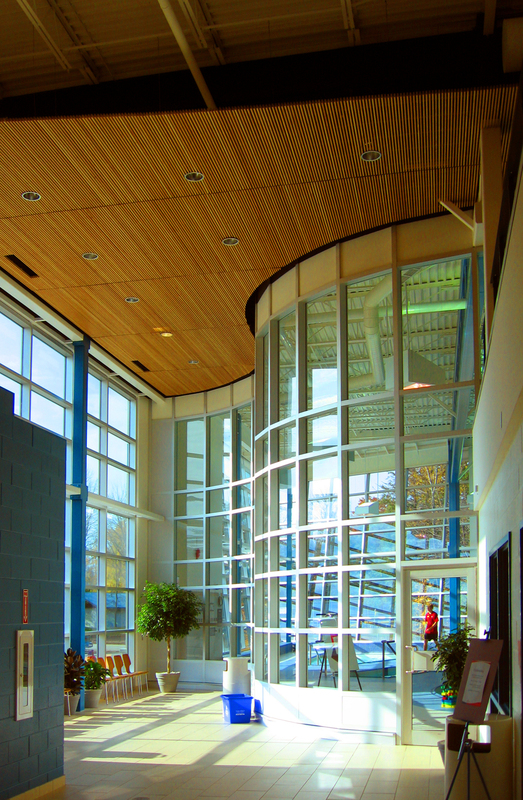 ft. aquatic centre incorporates sustainable, culturally relevant, and modern design into the structure. 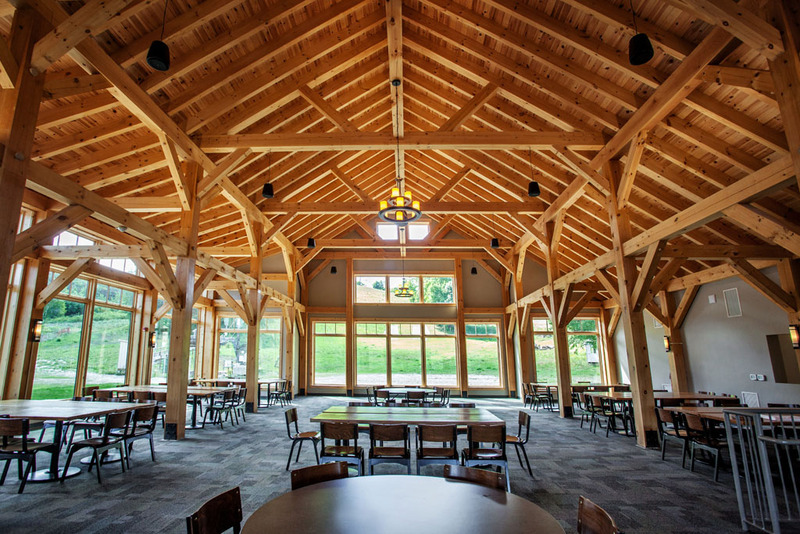 The prominent rotunda entrance way makes use of curvilinear walls that incorporates elements of a tipi and the surrounding oxbow lakes in the region. 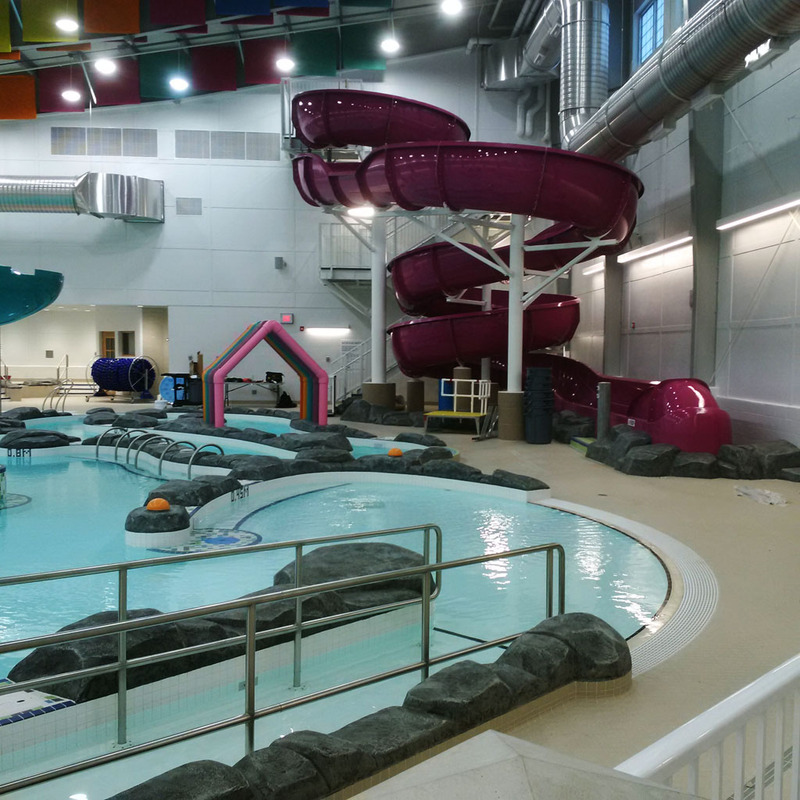 The aquatic centre features a three lane Olympic-size pool, hot tub, sauna, and spray park inclusive of a lazy river and waterslide. 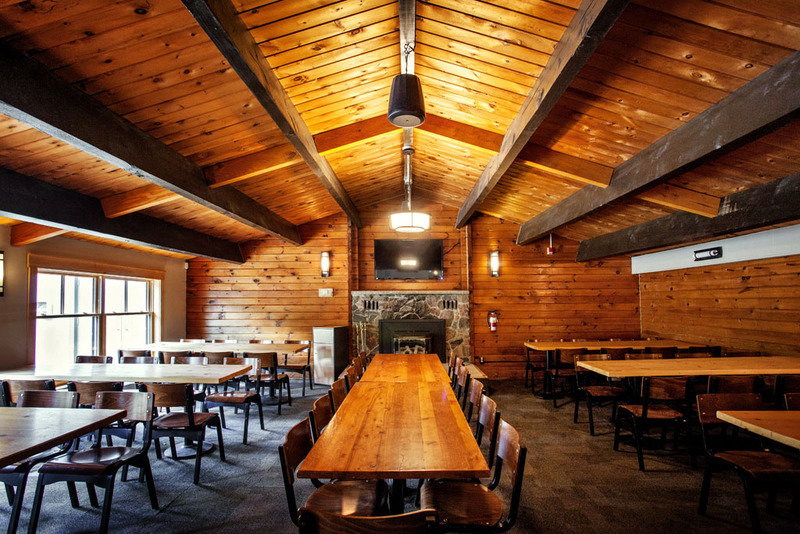 Monteith Building Group was retained in 2015 as the Construction Manager for the modernization and expansion of the Heights Ski & Country Club. 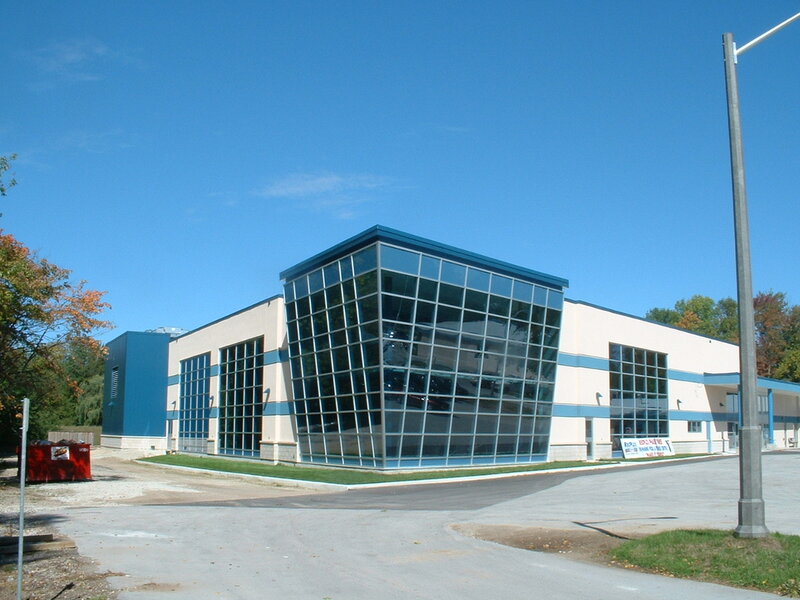 The new 31,400 sq. 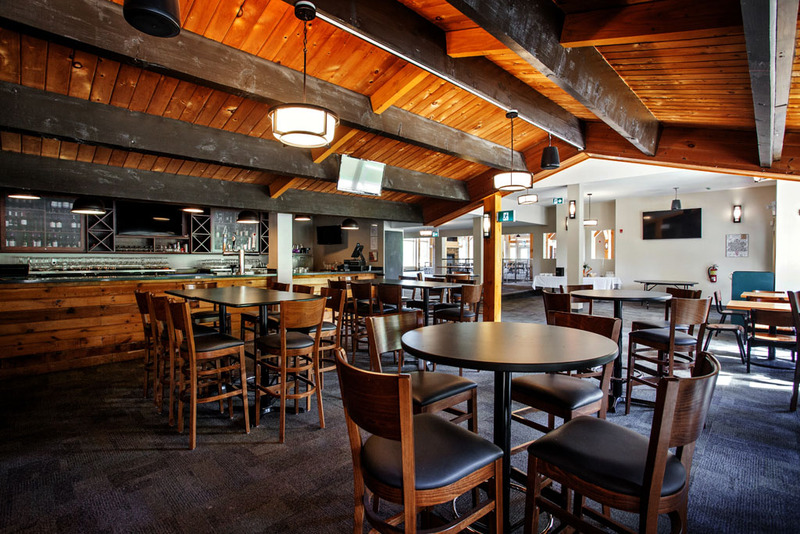 ft. clubhouse will feature a distinct 4,500 sq. 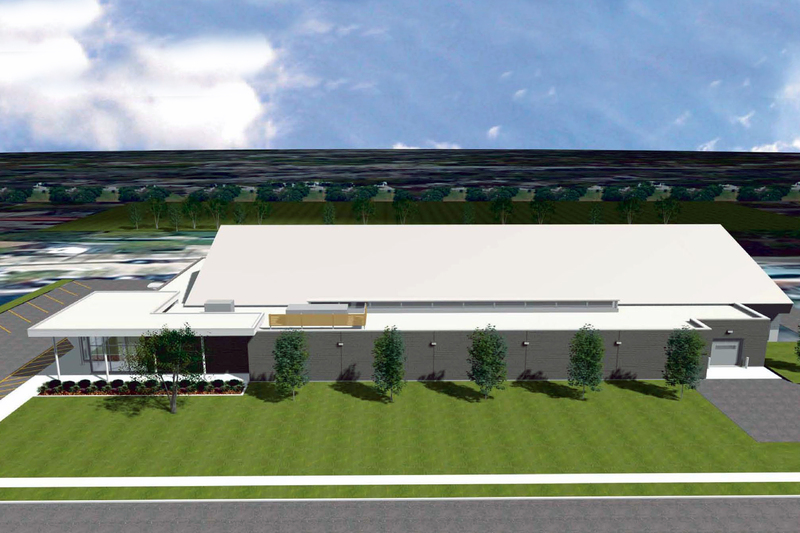 ft. timber frame addition which will allow for increased member seating, locker facilities, and retail space. 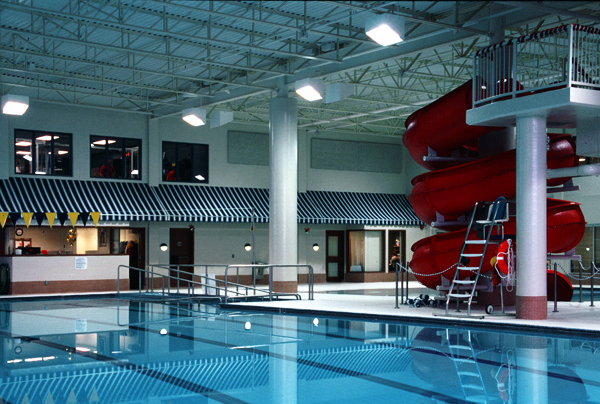 The existing pan-abode clubhouse will also be renovated to improve barrier-free access and the overall functionality of the space. 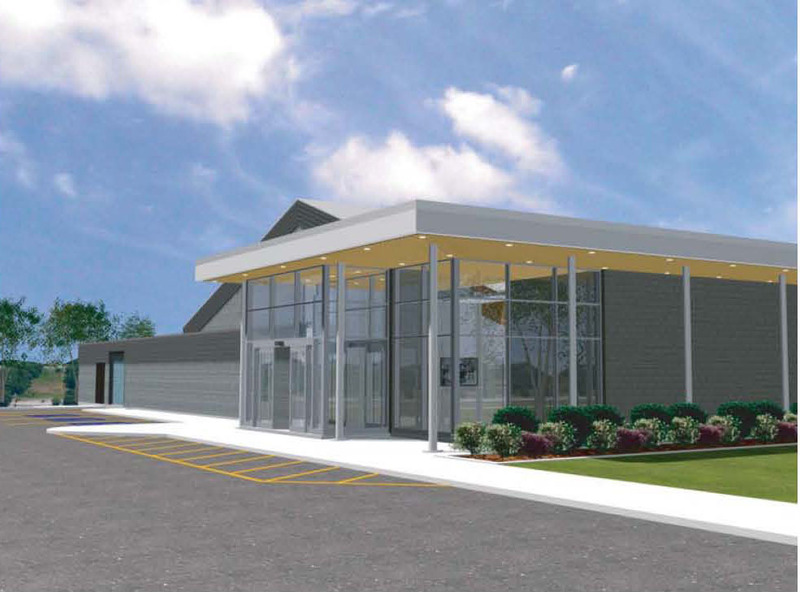 This project also involves a substantial site work component that includes redeveloping and expanding the existing parking lot and wastewater systems. 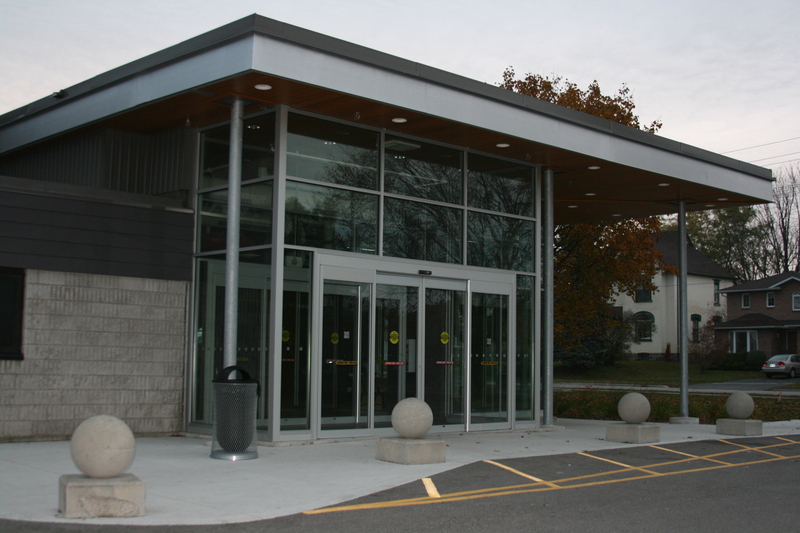 This 25,000 square foot addition to the existing recreation centre houses a 25m competition pool, whirlpool and a recreation play pool which are all barrier free. 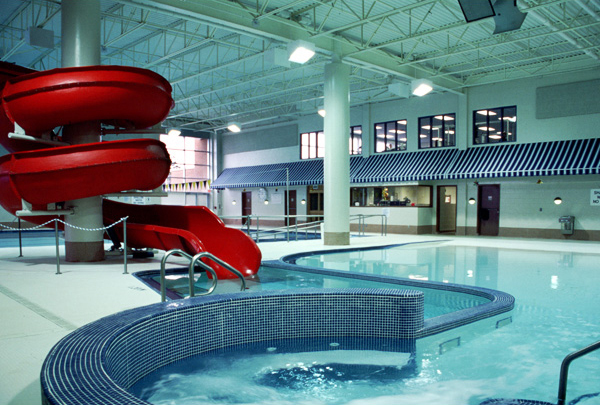 Also included are program rooms, sauna rooms, shower/change rooms and a large fitness centre. 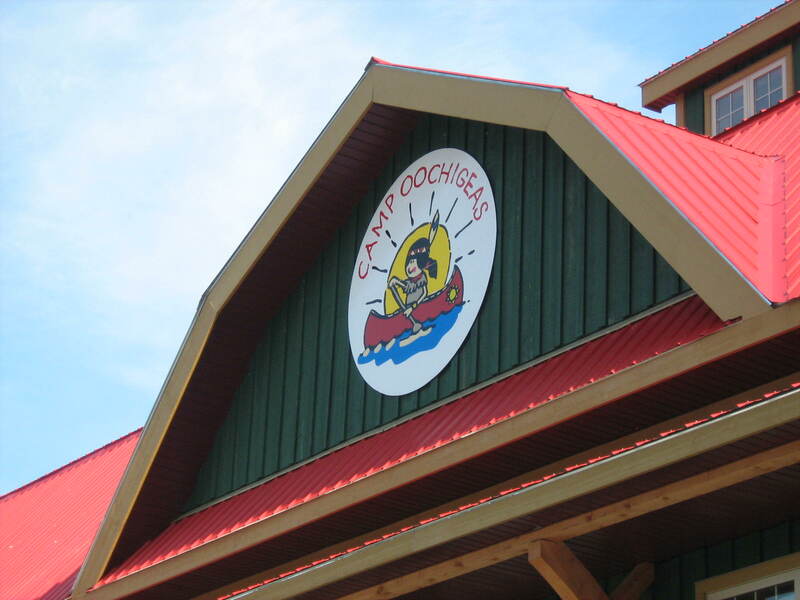 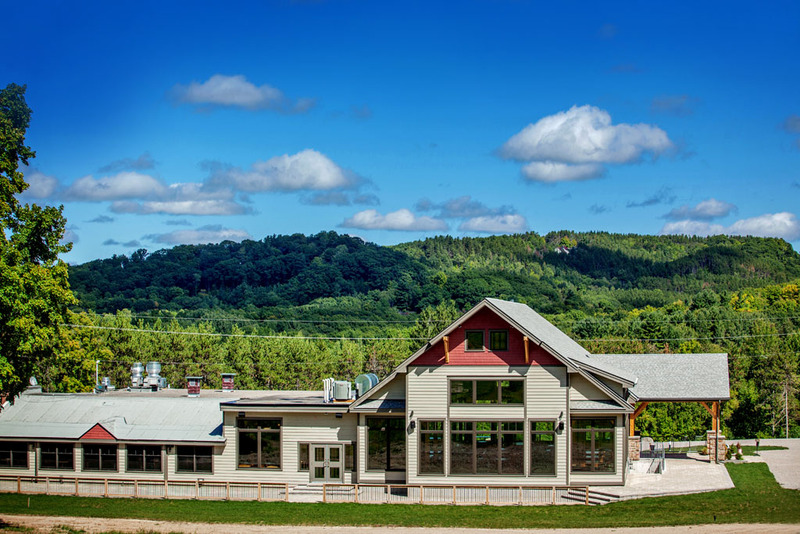 This project was the complete redevelopment of Camp Oochigeas, a summer camp for children who are living with cancer. 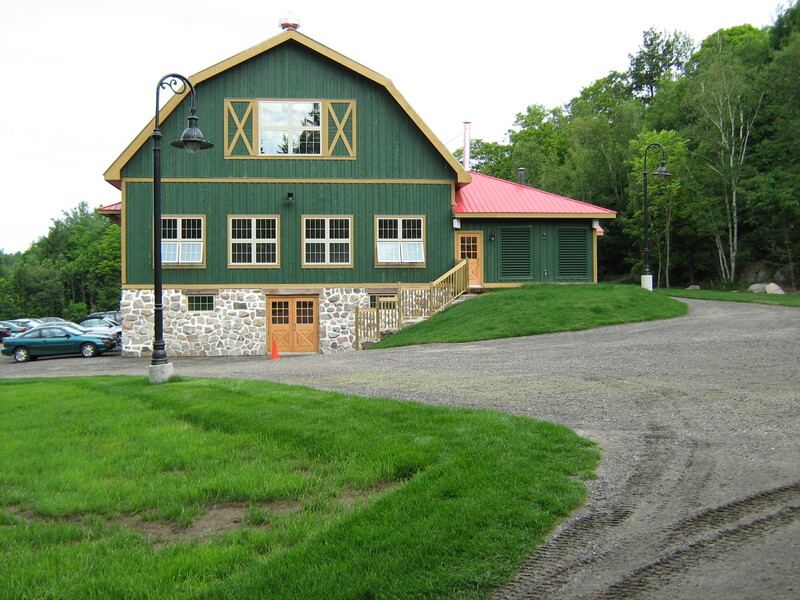 The main barn-style facility features an ICF foundation system, wood frame and trusses and an original stone wall. 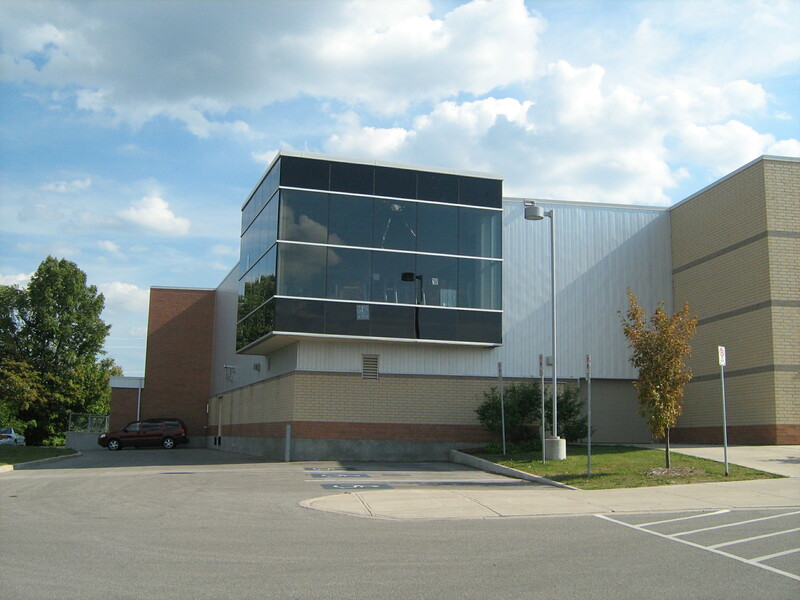 The 5,700 square foot building houses a gymnasium and stage with a large mezzanine viewing area. 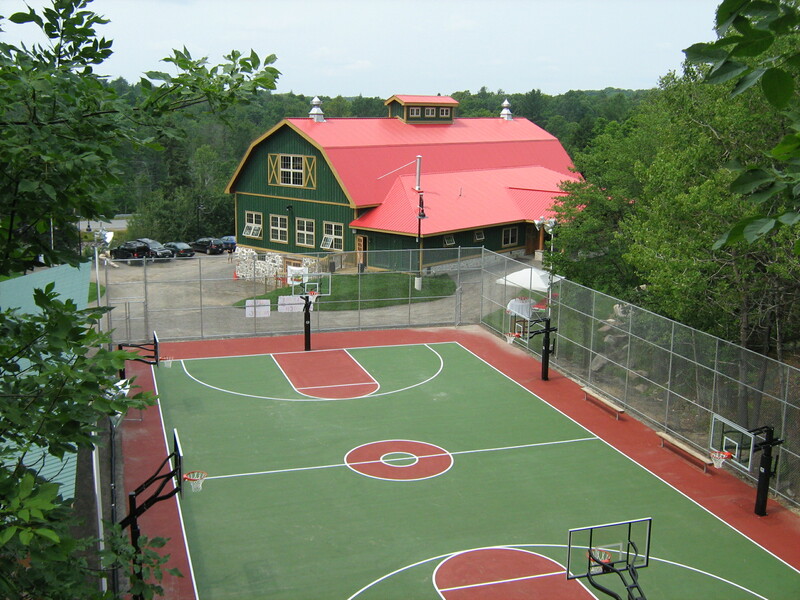 A new dining hall and maintenance building were included with this contract, which was completed in 2008. 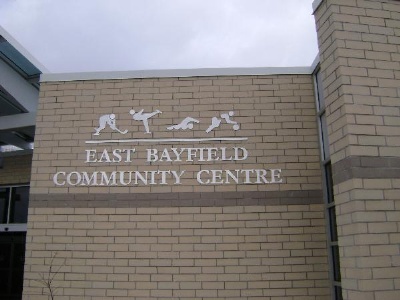 This 152,000 square foot recreation complex contains two ice surfaces, a 25 metre swimming pool and teaching pools, gymnasium, fitness centre, daycare centre, meeting rooms and a multi-purpose room. 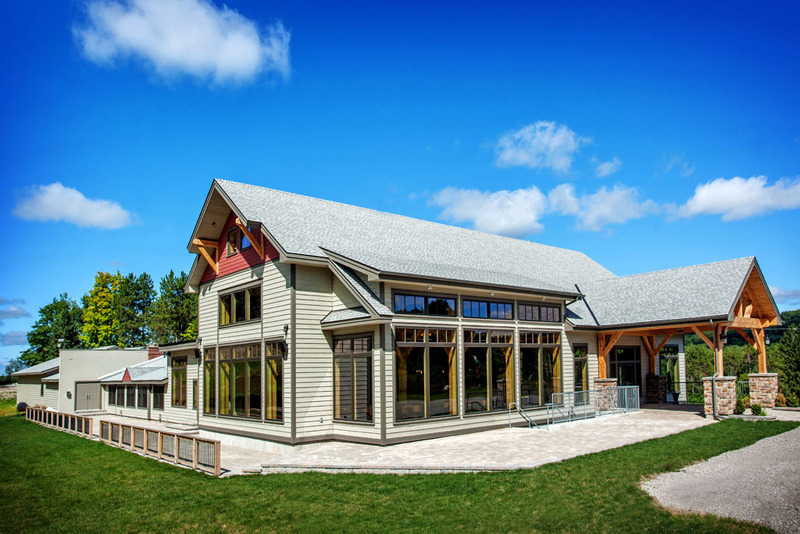 Special features include an energy efficient geothermal heat pump system, terrazzo and ceramic tile floors, skylights, glazed canopies, panels and railings and epoxy paint finishes. 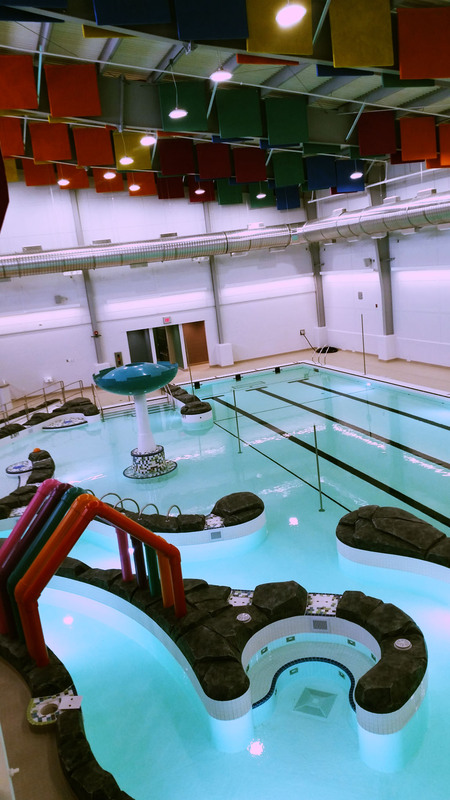 This 64,000 square foot recreation complex is connected to the Espanola library and features a 25 meter competition pool, children’s splash pool, waterslide, saunas and viewing areas. 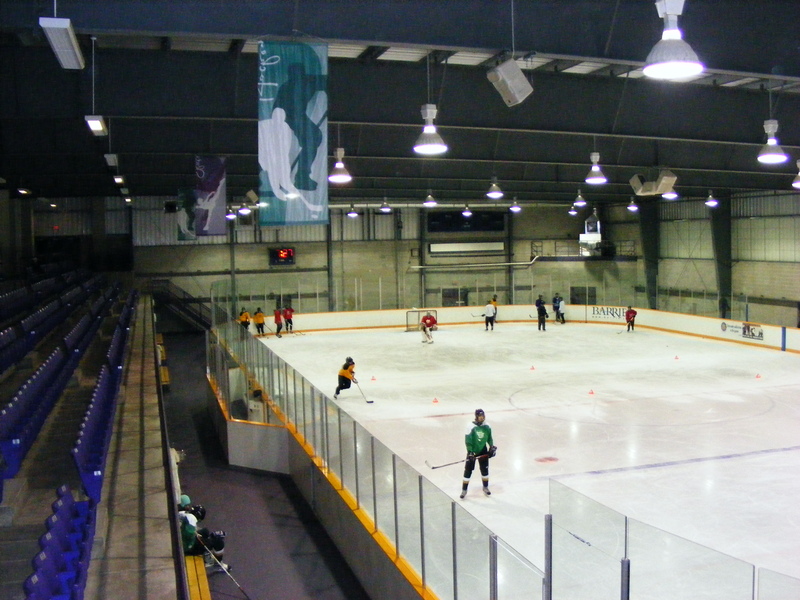 The new arena houses a NHL size ice surface and seats 500. 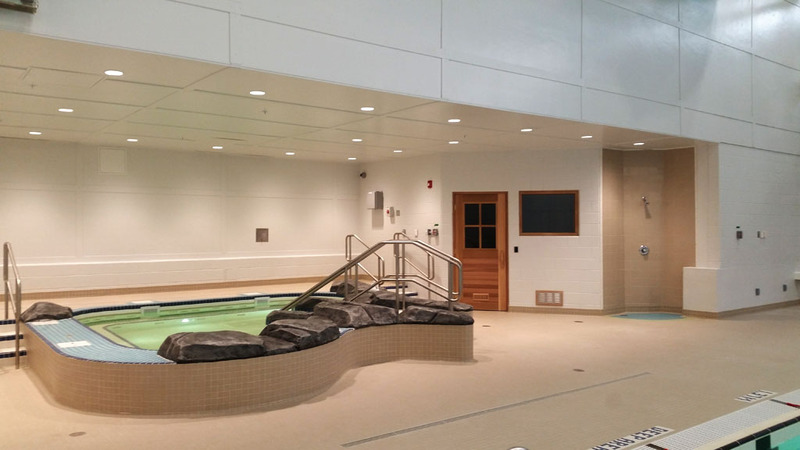 The facility also includes squash courts, fitness rooms and a 350 seat banquet hall. 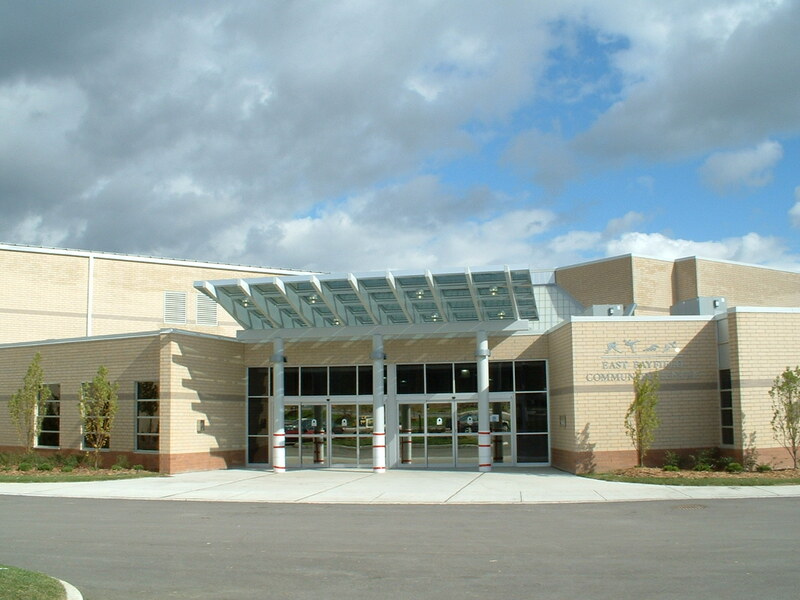 The new 5,000 sq. 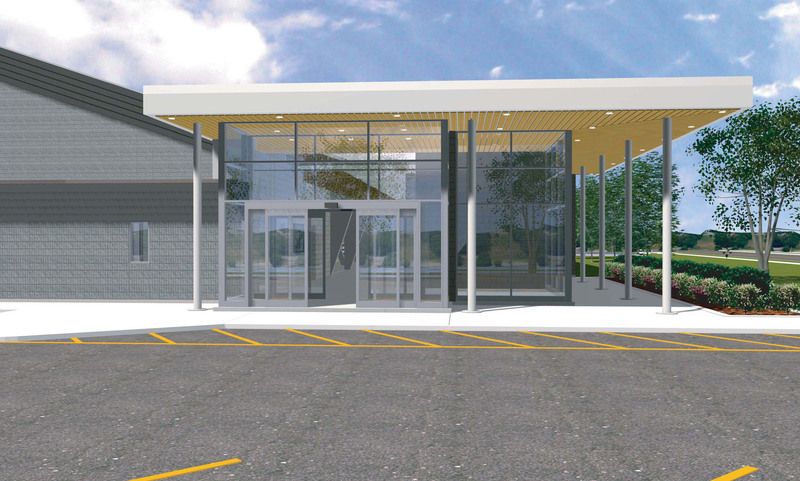 ft. addition to the arena will house larger, barrier-free change rooms, a heated viewing area and new front entrance. 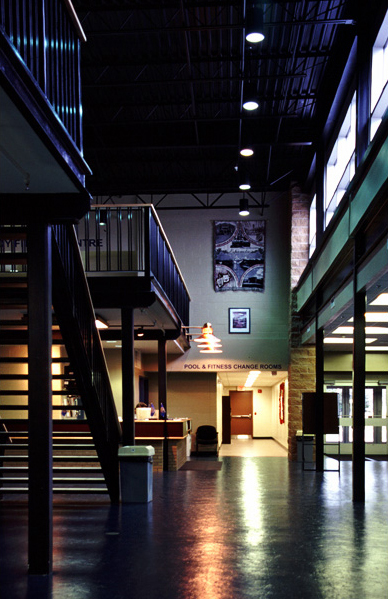 The existing building will receive renovations to 3,600 sq. 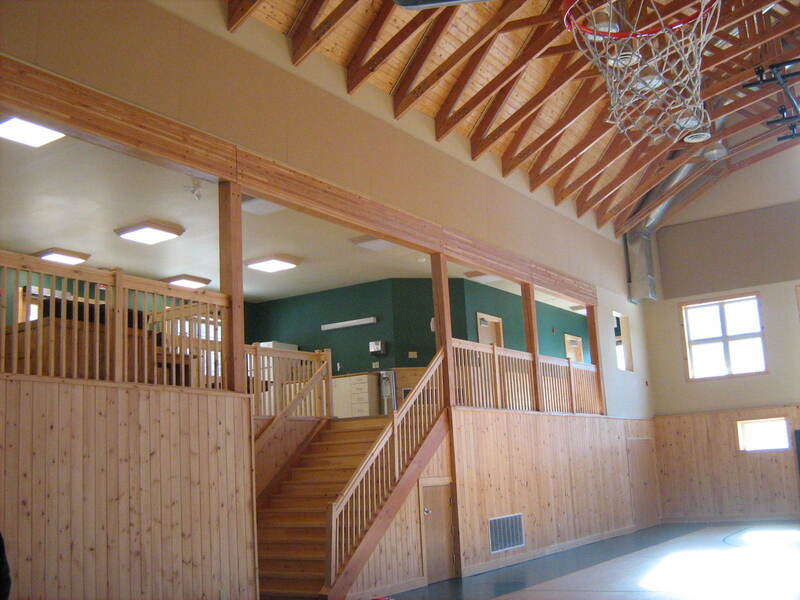 ft., including new dasher boards, glazing and sports flooring. 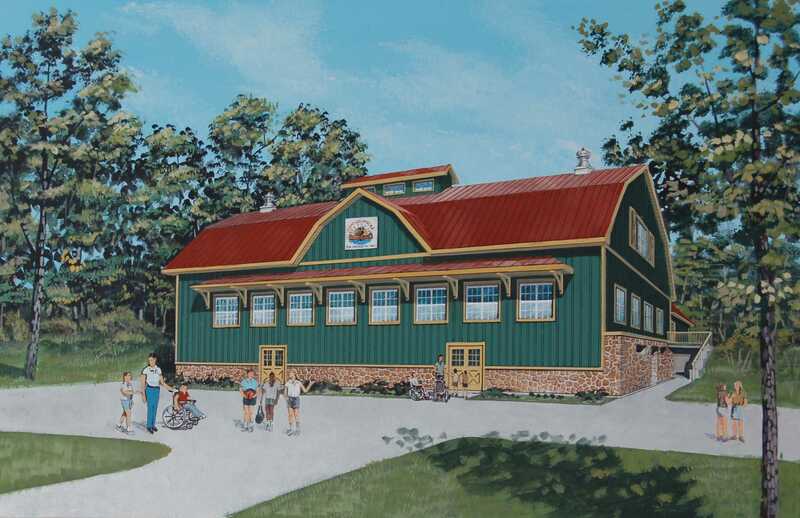 This project will improve public access, enhance the exterior appearance of the facility and provide accommodation for community events in the off season.